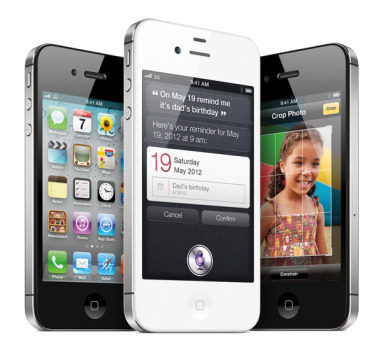 Apple announced earlier this week the latest member of the iPhone family - the iPhone 4S. While it disappointed some iPhone fans who were expecting an iPhone 5, a closer look at the features of the latest device shows improvement in its processing power and camera quality, as well as a new nifty application called Siri. The iPhone 4S looks a lot like the iPhone 4 but there’s one small difference: a SIM card slot on the phone’s right side. Since the iPhone 4S supports both GSM and CDMA networks all models feature a small tray along the right side of the frame for a GSM SIM card. It also has a faster processor—an Apple-built A5 chip, which also happens to be the processor that powers the iPad 2. It’s a dual-core processor (compared to the iPhone 4’s single-core A4 processor), which should mean improved performance not only for the CPU, but for graphics on the device as well. As for battery life, Apple promises some eight hours of talk time on 3G, six hours of 3G browsing, nine hours of Wi-Fi, ten hours of video, and 40 hours of listening to music. This is due to the more power-efficient A5 chip, according to Apple. Perhaps still reeling from the "antennagate", Apple put two in the iPhone 4S. It now switches back and forth between the two when its transmitting and receiving data. Apple says the aim is better call quality and faster download speeds, and obviously holding the phone in any way shouldn’t have any effect on your signal. The iPhone 4S also supports faster cellular data transfer which Apple claims can reach maximum transfer speeds of 5.8Mbps for uploads and 14.4Mbps for downloads. I said earlier that the iPhone 4S supports both GSM and CDMA networks, prompting some quarters to call this a world phone. This is particularly convenient for world travelers as they will be able to connect to a local network and just work. You may either apply for roaming services from your network or get a pre-paid micro SIM in the country you're in. The iPhone 4S’s rear-facing camera now has 8 megapixels compared to 5-megapixel in the iPhone 4. The camera also has a wider f/2.4 aperture to allow in more light—that means brighter colors and better lowlight performance. Apple says you can print 8.5-by-11-inch iPhone 4S photographs, and that they’ll be literally pixel-perfect. Thanks again to the A5 processor which, Apple says, should help you take pictures faster, with more vivid colors and better white balance. The processor also helps focus and balance exposure as you snap photos, with the ability to detect up to ten faces in a group shot. Alongside this, new features in the Camera and Photos apps give you instant access to the camera right from the lock screen, and you can also use the volume-up button to quickly snap a photo. Optional grid lines help line up your shot and a simple tap locks focus and exposure on one subject. The new Photos app also lets you crop, rotate, enhance and remove red-eye, and organize your photos into albums right on your device to share them on the go. How about the front facing camera, you ask. Sadly, it is still a low-resolution VGA camera. Phone 4S can also now record video in full 1080p HD resolution and with the new video image stabilization feature, you can take richer, smoother videos. Other iPhone 4S video camera improvements include increased sensitivity, sharpness and an increased ability to capture video in low light conditions. With the new iMessage service in iOS 5, you can now instantly share videos with family and friends. 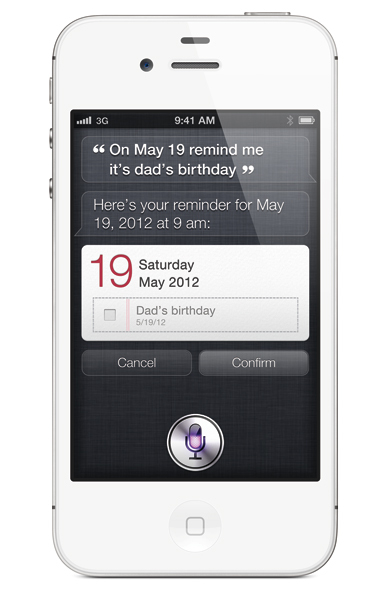 The iPhone 4S feature that got everyone talking is Siri, an intelligent assistant that helps you get things done just by asking. Siri helps you make calls, send text messages or email, schedule meetings and reminders, make notes, search the Internet, find local businesses, get directions and more. You can also get answers, find facts and even perform complex calculations just by asking. To date, however, Siri is an iPhone 4S exclusive feature. Many speculate that this is due to hardware limitation, that perhaps Siri needed the processing power of the A5 chip. 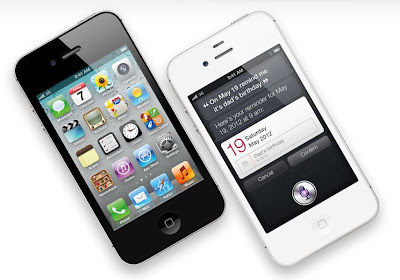 The 4S comes in both black and white and in 16GB, 32GB and the new 64GB models. It will be released on October 14 in the US and in 22 other countries by the end of the month. As usual, the Philippines is not included in the list of countries in the initial roll-out. The 'net however is abuzz that it might come to our country in November, just in time to get it under the Christmas tree for someone special or for yourself. As for the price, I would speculate that it will take the same price as the iPhone4 when it was first released here. when are you getting one? berl got na! I'll wait for its release here. What did she get, the unlock iPhone? I think the unlocked models are not yet out.